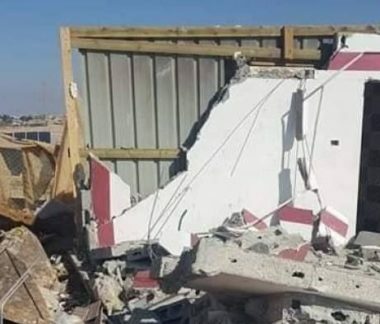 Israeli soldiers invaded, Monday, the town of Husan, west of the West Bank city of Bethlehem, and demolished several agricultural rooms. Media sources said many army jeeps and a bulldozer, invaded Wad al-Ghaweet area, in Husan and demolished the rooms. In related news, the soldiers installed a military roadblock at the western entrance of Beit Fajjar town, south of Bethlehem, and prevented the Palestinians from entering or leaving it. It is worth mentioning that Beit Fajjar has been subject to frequent Israeli military invasions, including at dawn Monday, when the soldiers abducted three young man, after storming and ransacking their homes along with the home of a political prisoner, identified as Rami Taqatqa.